High visibility is so important to Ortlieb because it is a matter of safety. 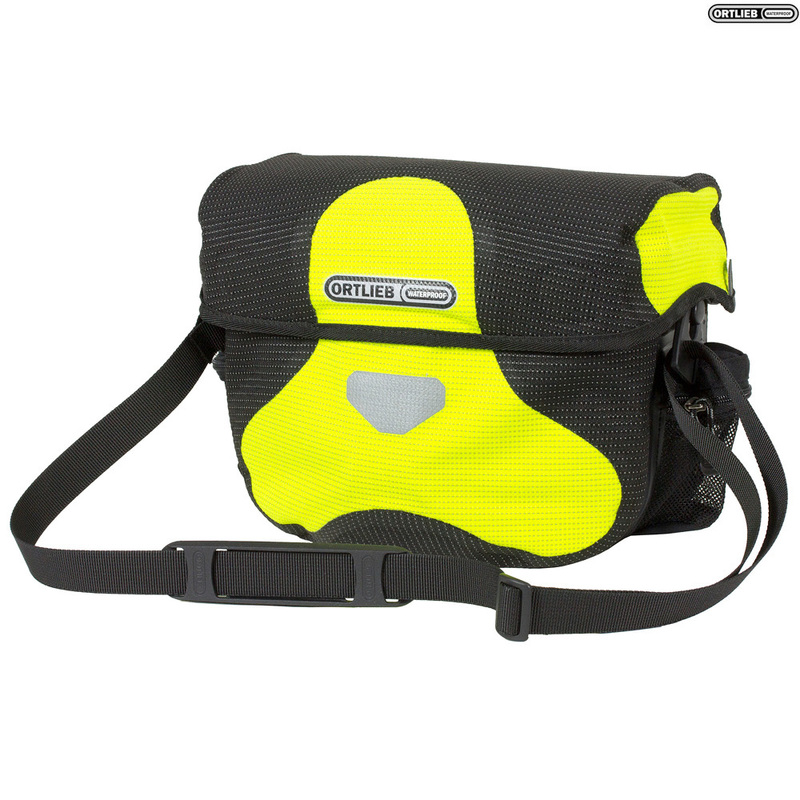 Both the waterproof, polyurethane-coated Cordura fabric in neon yellow and black fabric parts of this bag are densley interwoven with high-luminousity reflective yarn. This composition turns the entire bag into an eminently visible reflector when it is picked up in headlights of passing cars.